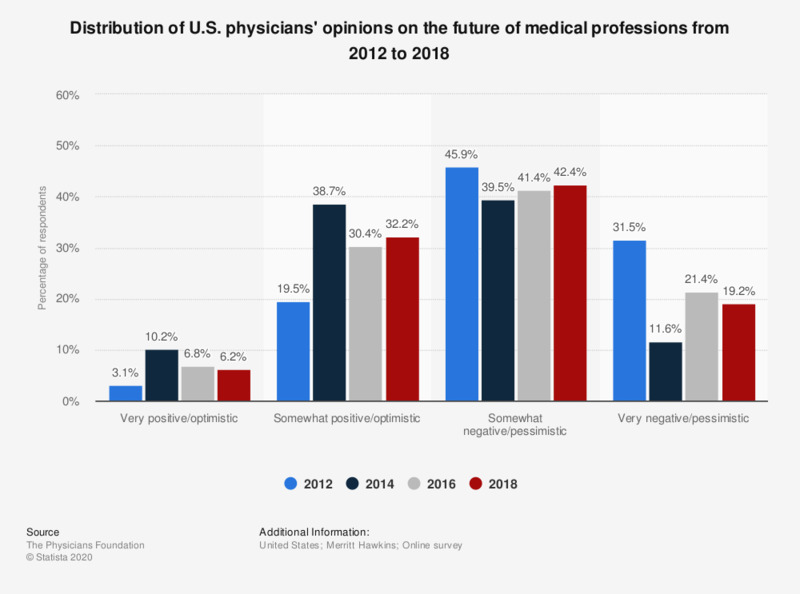 This survey depicts the percent distribution of U.S. physicians' opinions about the future of the medical profession from 2012 to 2018. In 2014, some 40 percent of surveyed physicians felt somewhat negative/pessimistic about the future state of the medical profession. Original question: "Which best describes how you feel about the future of the medical profession?"